“Let the children come to Me, so not to hinder them; for to such belongs the Kingdom of God. Truly I say to you, whoever does not receive the Kingdom of God like a child shall not enter it.” (Mark 10:14-15). One of the most important ministries of the Church since Apostolic times has been to see to the spiritual education (κατήχησις-catechism) of its members and especially the children. The greatest gift, the most precious inheritance we can give to our children is our Orthodox Christian Faith. Jesus makes it clear that He wants children to come to know Him, and that He considers it a grave offence for an adult to hinder this process. 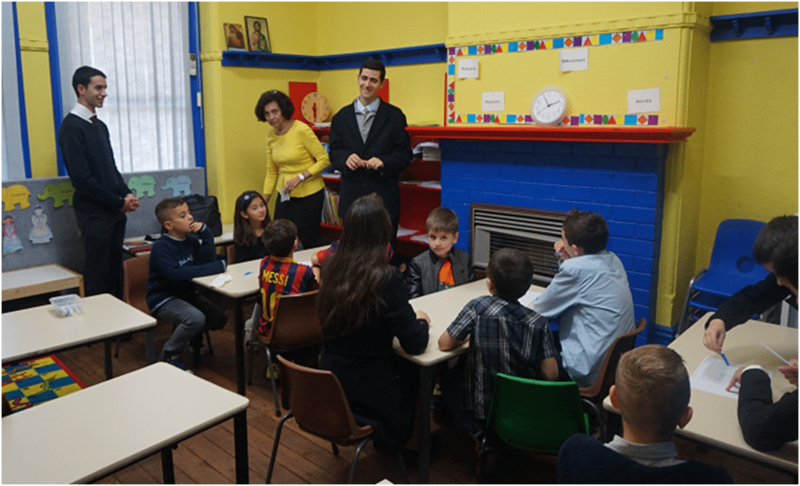 For the past 60 years, Sunday Schools in Sydney and Wollongong have been organised by the Greek Orthodox Christian Society, under the auspices of the Greek Orthodox Archdiocese of Australia. Sunday School is vital in developing a child’s knowledge and love for God. 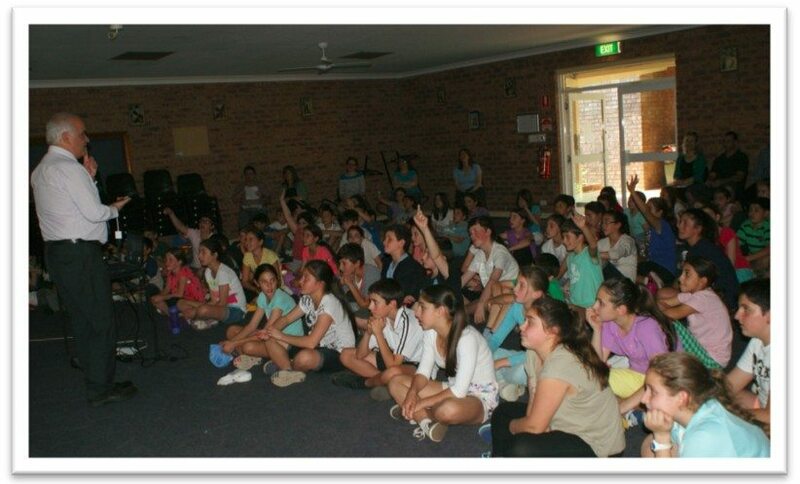 Lessons are held at every Greek Orthodox parish across Sydney. They offer a friendly and supportive environment in which children can begin to understand the Church and the eternal truths concerning God. Classes are held every Sunday, for children aged between 4-18. For information on classes held at your local parish, please enquire with your local priest or the Sunday School teachers or email sundayschool@lychnos.org. 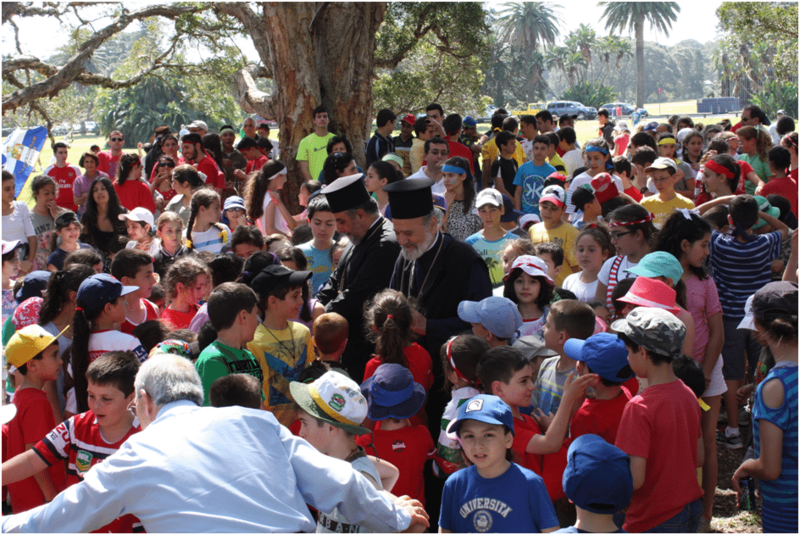 This year, 2015, has been a landmark year for Greek Orthodox Sunday Schools in Sydney and surrounds. Today there are 22 parishes with approximately 75 Sunday School classes for children aged 4-18. We currently have 110 Sunday School teachers and assistants who have a total of 500 students attending class on Sunday mornings, with the most common class time being immediately after Holy Communion. 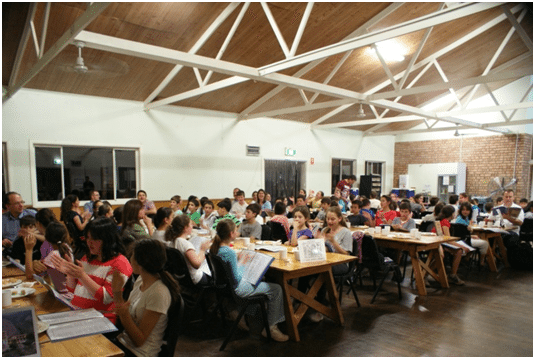 These statistics show that Orthodoxy is alive among our children and youth who attend the Greek Orthodox churches of Sydney. Over the past 60 years, we have witnessed much progress and many changes for the more effective delivery of lessons through the use of modern day technology and improved educational techniques for both teachers and students.  Our Sunday School classes are conducted mostly in English.  The lessons are shorter, but more effective.  Students have the opportunity to follow the Divine Liturgy together with their teachers.  Lessons are distributed to teachers through our website or by email.  We provide informative seminars for all our teachers.  A Working with Children Check is now a prerequisite for all teachers.  This year we have marked 12 years of Sunday School Camps for children aged 10-12. Moreover, our annual tradition of Sunday School picnics at Centennial Park with the presence of our Archbishop remains one of the highlights of the year. In addition, Sunday School teachers and students support missionary and charity drives and are involved actively in the life of their parish. All these activities culminated in our long awaited showcase, the 60 Year Sunday School Concert at Sydney Town Hall, held on 22 November, 2015. How relevant are Sunday Schools in today’s world? They are absolutely necessary and crucial in assisting parents raise their children in a safe, friendly and Christian environment. For children attending the Infants classes (νήπια), Sunday School teachers instil the basic Truths of our Orthodox Faith, teaching stories from the Bible and the lives of Saints. This understanding of our Faith deepens as children attend the Primary classes (Κατώτερα Κατηχητικά). They learn about the Sacraments of our Church, living the Orthodox Faith through Fasting and Confession, and come to know the Fathers of the Church and our Holy Tradition. In the High School classes (Μέσα Κατηχητικά), the youth are taught how to face the challenges of life, while strengthening their faith and bringing them closer to Christ and the Church. Sunday School is the timeless voice of the Church, calling out to Her children to live the genuine and fulfilling life that Christ offers to all. Hence, it will always remain a sacred challenge to all those who work in it. The way of life of the early Christians, as described in the Acts of the Apostles, can be summarised in the phrase: “they devoted themselves to the Apostles’ teaching and fellowship, to the breaking of bread and to prayer” (Acts 2:42). This way of life is the primary focus of all Sunday Schools in Sydney. When we bring our children regularly to Sunday School, we provide them not only with the gift of knowledge that has lifelong value and significance, but more importantly, they begin a personal relationship with Christ that will guide them through the rest of their lives.